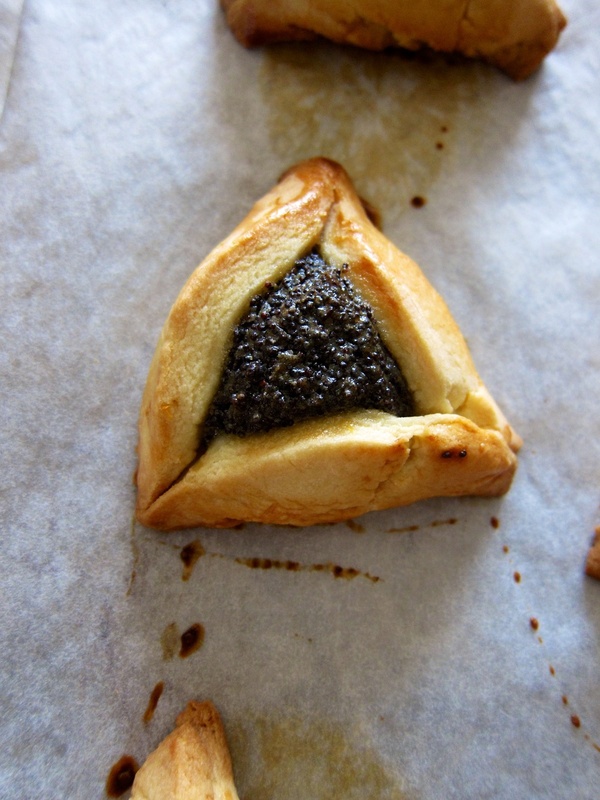 Another festival celebrated this time of year is that of Purim, a Jewish holiday commemorating the deliverance of the Jewish people of ancient Persia from their near demise at the hands of the royal vizier to the King. Observed by many as a time for charity and the gifting of food it is a jubilant occasion, filled with drink, dance, costumes and jokes. The story—recorded in the bible as the book of Esther—goes that Haman, the chief minister to King Ahasuerus of the Persian Empire, had an especially large chip on his shoulder about a man who refused to bow in his presence, and so hatched a plan to exterminate the entire Jewish population as the most logical solution. Casting "Purim" to choose a date for his deeds, his plans were invariably foiled and he, along with many of his followers and co-conspirators, met with a rather unpleasant end. 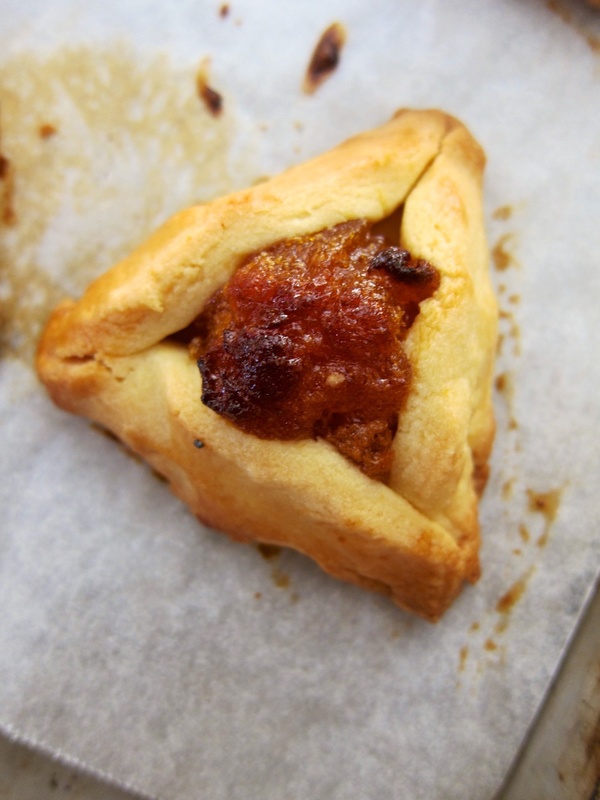 Of the many foods used to celebrate Purim perhaps the most popular is hamantaschen, a biscuit said to represent the three-cornered hat of Haman (although his nose and bribe-laden pockets ("tasch") have also been suggested). Traditionally filled with poppy seeds, apricot butter or jam, these buttery sweet treats are a merry gift, and look resplendent with their jewel-like centres in the midst of any morning or afternoon spread. 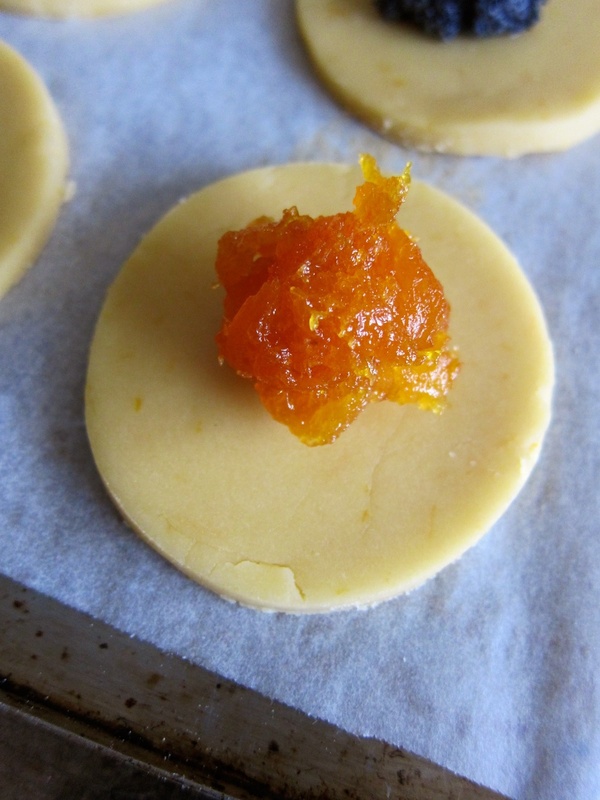 The crispy, slightly crumbly biscuit is heavily laced with fragrant orange, and compliments the fillings ever-so beautifully. Not only a delicious way to celebrate, but a splendid accompaniment to that time-honoured pot of tea. Cream the butter and sugar until light and fluffy. Gradually add the egg, zest and vanilla, then slowly add the flour and salt, mixing gently until just combined. Press the dough into a smooth disc, wrap in cling film and refrigerate for at least 1 hour, or up to overnight. Preheat the oven to 190°C, line two trays with baking paper and prepare some egg wash by whisking together one egg and two tablespoons of milk. Set aside. On a lightly-floured surface, roll the dough to a thickness of 5-mm and cut out 8-cm-diameter rounds. Place a teaspoon of filling in the centre of each and then fold to form a three-cornered hat, as follows: First fold the left side towards the centre and cover the left third then repeat with the right side, overlapping the top corner. Fold the bottom side towards the centre, tucking the left corner under and right corner over. Make sure to leave some of the centre exposed. Pinch all corners, to seal, and then lightly brush with egg wash.
Bake at 190°C for 20-25 minutes, until lightly golden. Remove to a rack and cool completely before serving. Dust lightly with icing sugar, if desired. 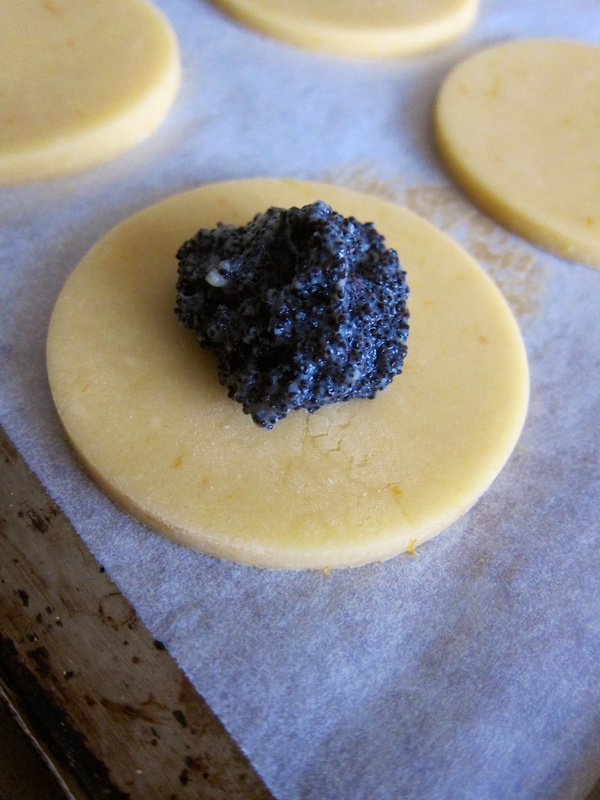 Grind the poppy seeds in a spice grinder until soft and powdery. Melt the butter in a saucepan and whisk in the sugar, honey and milk. Bring to a simmer, whisking gently until the sugar dissolves. Drizzle the milk into the egg, whisking constantly, then return to the pan and whisk over medium heat for 3-5 minutes, until thickened. Remove from heat and whisk in the poppy seeds. Chill before using. Combine all ingredients in a saucepan and stir over medium heat until it comes to a boil. Boil for 1 minute then reduce the heat, cover, and leave to simmer for 30 minutes, until the fruit is soft and most of the liquid has been absorbed. Remove from heat, mash until smooth and chill before using.